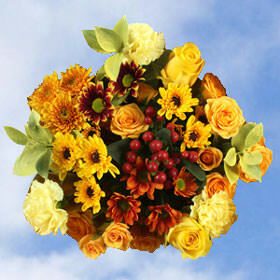 Color tones for all Autumn Delight Bouquets may vary due to the computer monitor and/or Mother Nature. 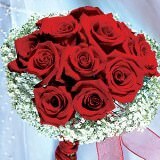 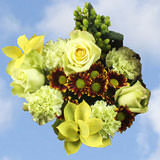 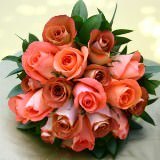 Each bouquet is a splendid arrangement of 16 flowers. 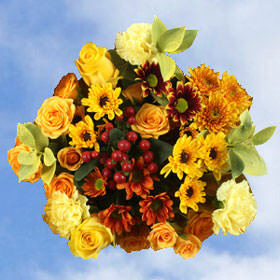 These marvelous fall bouquets do not include a vase. 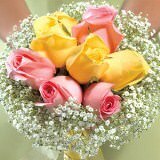 Each box contains 15 bouquets (each arrangement contains; 2 stems of Yellow Novelty Viking Poms, 2 stems of Yellow Spray Roses, 1 stem of Red Hypericum, 2 stems of Yellow Roses, 2 stems of Dark Bronze Daisy Poms, 3 stems of Ruscus, 1 stem of Light Bronze Cushion Pom, and 3 stems of Yellow Carnations). 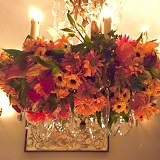 Gold tones and the red color of the hypericums, create a fall ambiance. 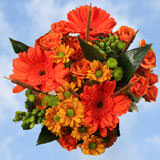 Surprise the special recipient with these amazing floral bouquets, perfect for any occasion.